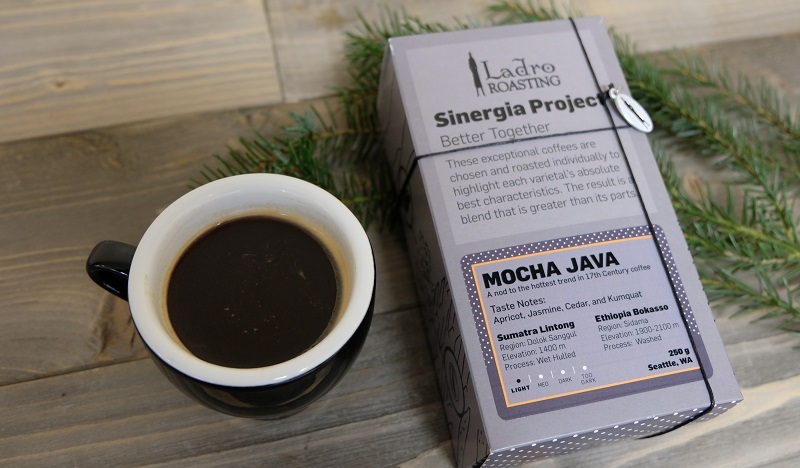 The famous Mocha Java blend is the focus of this season’s Sinergia Project. This groundbreaking combination of beans swept across Europe in the 1600s. Those who drank it found themselves alert and energized, a stark difference from their typical morning drink of beer or wine. 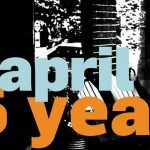 Before there was coffee grown in the Americas, before multiple varietals of the coffee bean had been identified, before coffee had made its way to Europe, people were drinking coffee in Yemen. In the 1400s the stimulating beverage was primarily consumed by monks who used it to stay alert during evening devotions. From there coffee spread to the rest of the Middle East, North Africa, to Italy in the 1500s, and eventually to the rest of Europe. The Dutch introduced the coffee plant to the Indonesian island of Java, where the crop flourished. As trade ships visited the Yemeni port of al-Mukha, and then arrived at ports in Java, the coffees from each place eventually became combined producing the world’s first multi-origin blend. Sinergia, Italian for synergy, is our entire goal for this project. Our process for choosing beans is already highly selective. 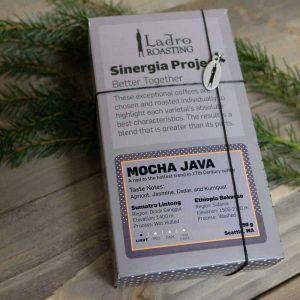 For the Sinergia Project, we source multiple extraordinarily special coffees that are then individually roasted to highlight each varietal’s absolute best characteristics. The result creates a blend that is greater than the sum of its individual parts. Mocha Java’s Yemeni component was wine-y and bright with notes of chocolate, while the Javanese component was mellow with a heavy body. These coffees each complemented the other, and the resulting blend dazzled Europe leading to an explosion of coffee houses on the continent. We’ve put a twist on the original recipe, using an Ethiopian coffee and a Sumatran coffee to bring our own interpretation to this classic blend. The brightness is provided by the washed Ethiopian, and the Sumatra lends its earthy spice and body to the cup. 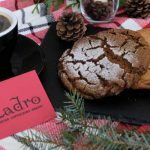 Join us in enjoying this bit of coffee history and a tip of the Ladro hat to the blend that initiated a process that inspires and challenges our industry to this day–Mocha Java.